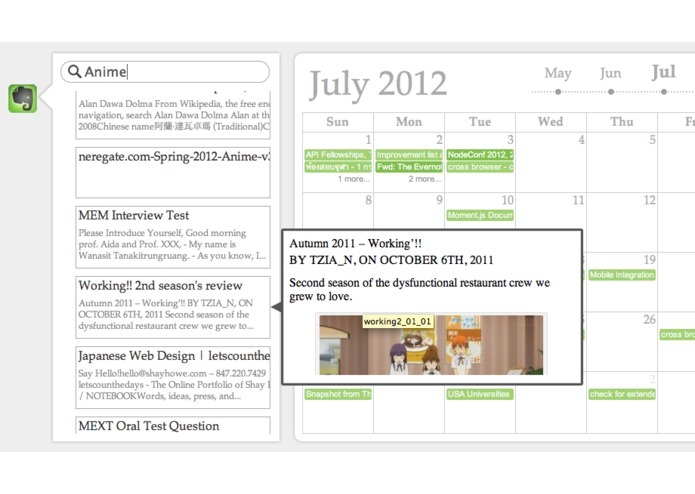 Evercalendar is a service that helps you remember dates on Evernote's notes. 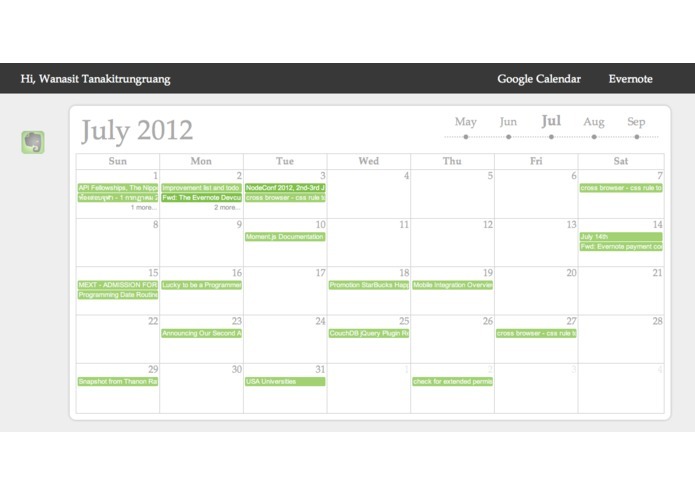 Unlike other calendars or to-do applications, with its language processing technology, Evercalendar can identify dates mentioned on your notes' content or images and automatically create calendar events for you. So, just take notes and let Evercalendar put them on the calendar for you. Just write a date on your note. 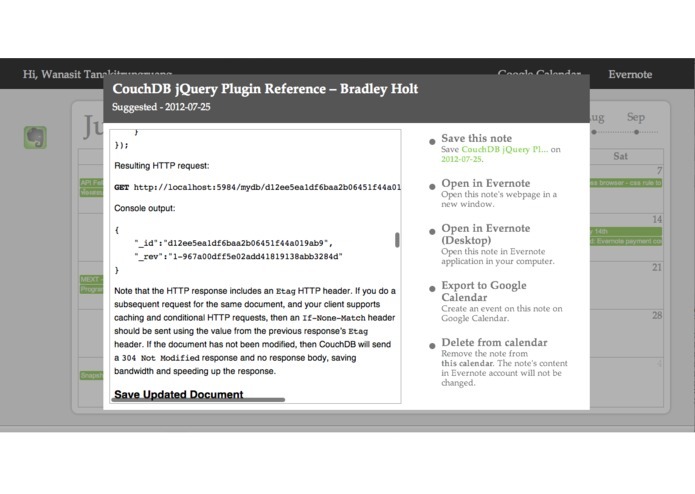 For example, 'July 2 - DevCup deadline' or 'Spiderman on 29 June'. 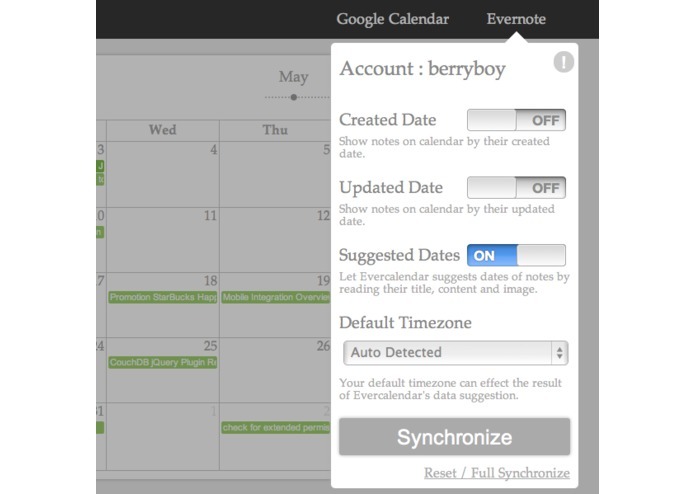 Evercalendar will automatically identify these dates and put them on the calendar for you. A generalist software developer. I'm moving to Tokyo for study graduated school this year.